I wish that I got the original 35O palette because it's a mix of shimmer and mattes but it was sold out at the time. Nonetheless, this palette is absolutely beautiful! I feel like the shades in it are perfect for the Fall season with all the reds/oranges/browns. All of the eyeshadows in this are really pigmented and apply really smoothly. I don't wear an eye primer and this stuff stays on throughout my whole wear and they don't budge either. For the price of $22.99, this palette is unbeatable and is a must-buy, especially if you only prefer mattes. 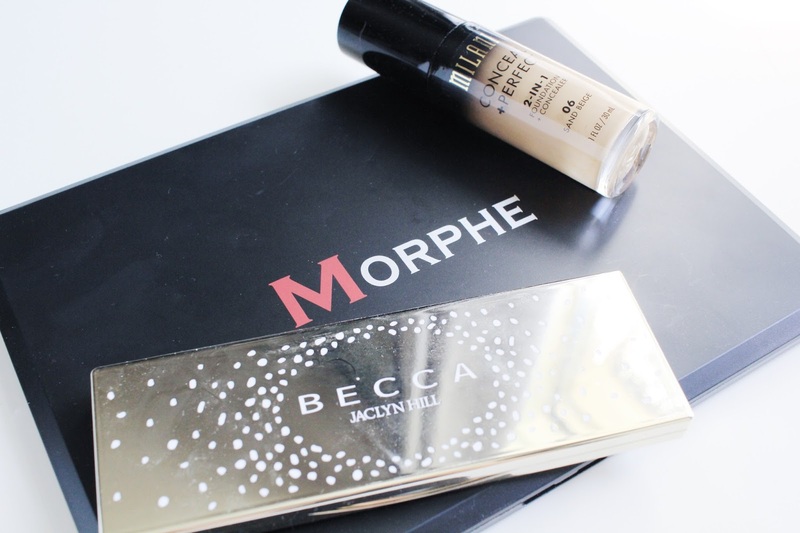 I bought this minutes after the Becca x Jaclyn Hill Champagne Pop collection dropped (before the whole controversy happened). A lot of people who bought this returned them to Sephora for a refund but I decided to keep mine and use it long enough for a thorough review. To be honest, I like it and I have almost no problems with it. The shadows go on smoothly for me and they last a while, despite me never using an eyeshadow primer. The only downside to this product, to me, is that when I swirl my brush into the shadows, it kind of just crumbles in the pan and I believe that just wastes a lot of product. Other than that, I'd say that this palette isn't as bad as people describe it to be. I've seen so many people raving about this foundation and how good it was so I decided to give it a try. I was not left disappointed with this one. It gives amazing coverage that lasts all day. The formula of it is really smooth and it goes on like that as well. It isn't too thick so it doesn't look cakey (I use a beautyblender to apply). I've worn this foundation on several hot Summer days and it didn't move one bit. So I was pleasantly surprised. For a drugstore foundation, this is a great option. Also, I like that it has a pump which makes it an even better buy. Click here to read last month's reviews.